The “How to Photograph Anything like a Pro” photography book series is Amazon’s #1 book series for photographers. You can download STARTS from Saturday 28th December 2013 and ENDS Tuesday 31st December 2013. 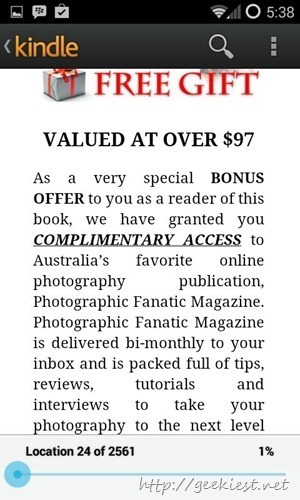 Steve Rutherford, multi award winning professional photographer, trainer, best selling author of the "How to Photograph Anything like a Pro" book series, and editor of Photographic Fanatic Magazine was born in Sydney, Australia in 1972. 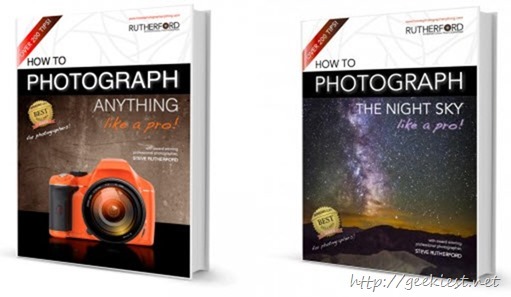 These are some of the best books available on the Photography, so don’t miss them, just add them to your Kindle. - Beginners buying guide to telescopes and how to use them with cameras. - Dozens of astrophotography techniques, tips and tricks. - Equipment needed to capture star field planetary and celestial objects. - Specialized telescopic equipment studies. - all the resources to find processing software for astrophotography. 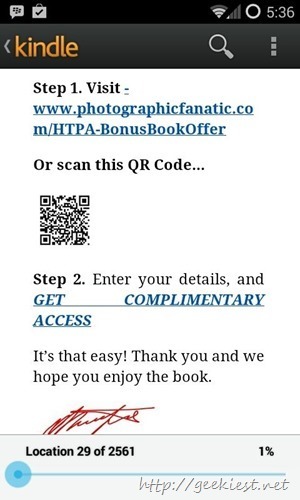 Inside this books you will also find a link which can give you lifetime free access to the online Photographic Fanatic Magazine for free. You just need to enter your details and you will receive a password, which you will have to use when opening a magazine.